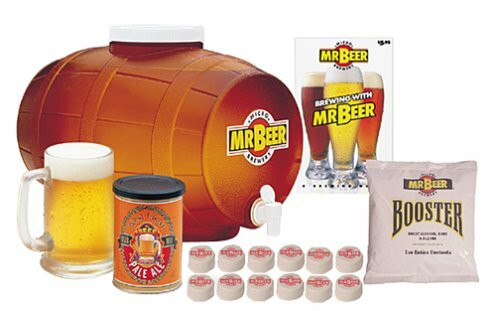 Enjoy premium beer at a fraction of the cost by brewing it at home with the Mr. Beer Deluxe Home Microbrewery System. Instructions and recipes included to brew a case of delicious mouth-watering beer in only 14 days! Great for beer enthusiasts and aspiring moonshiners!